HUD is already redesigned slightly, just not in a different layout yet. I also had suggestions of making it more transparent, some recent, some a while back, which will be tinkered with in the future. As long as it doesnt affect visibility, I dont have any issues changing that. I think a HUD similar to Nuclear Dawn would be pretty neat. maybe hud must be hidded like mirrors edge ? And yes weapons looks realy nice! Im not sure about hiding it and having it pop up every time you do something, but I definitely wont say its out of the question. Ive learned that taking suggestions from the community is always a good idea, but also that the minute you change something to make one group happy, another wants something different than that. So, i will keep paying attention to the feedback and go from there in the future. there will also be alternate HUD styles that can be downloaded and installed anyway, which should appease everyone and let them customize their game just a little. amazing weapon was hoping you weren't gonna ditch that assault rifle. i really really like it. :) also looks amazing. and is very well animated. 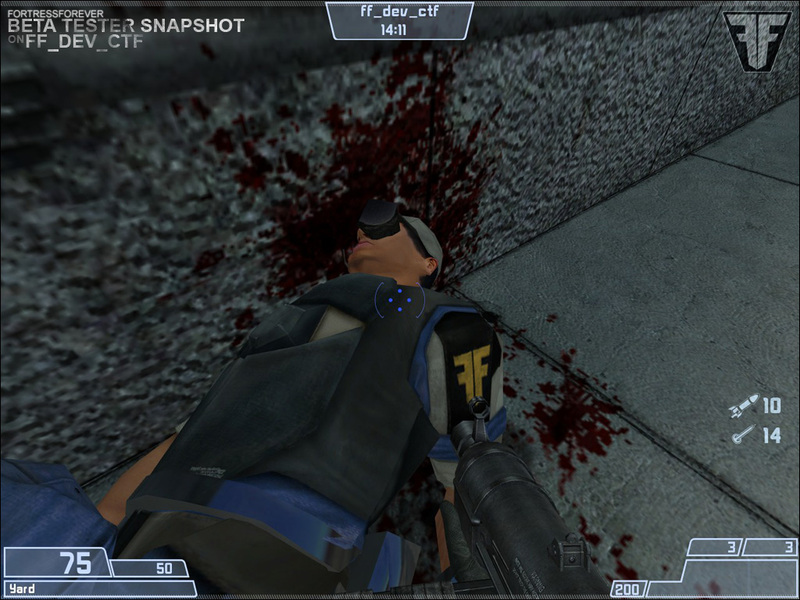 the only complaint i have is that the recoil on the assault rifle made me feel like i was about to have a seizure. it could use some more frames so its not quite as choppy however that's just me for most its probably fine. also heres my 2 sense on the hud. having it hidden is actually really nice you get to enjoy the atmosphere alittle more. i always prefer having one that goes across the bottom of my screen not all in one side. (unless im playing a realism mod. also for the hud make it look nice and fit the theme of the game. which is really easy with a scifi mod in that i can make up some really cool tech that lets you have a hud and allows it to make sense. theres also the deadspace series hud which are really nice. i think the best solution is make it like your computer monitors you have have similar look that way its explainable and it helps tie all your stuff together. Hey, thanks for the feedback :) The recoil looks choppy in the video due to fraps. In game its much smoother. Also we're still not entirely sure about making afk animations for the mod as with my previous releases on GameBanana some people didn't like the afk animations and noted they were too repetitive in game. I'm going to do a news post soon to see what everyone thinks. I also happen to agree with you on the HUD, making them like the computer monitors is a good idea. But it's not my call, we'll have to see what agent00kevin thinks. Again thank you for the feedback we all appreciate it! That actually is a good idea. BUT - it may not be possible with how I did the HUD. They say you have to code new panels in...well, I didnt. I have a certain knack for finding ways to get around things when Im determined. So I might just be able to do it...but dont get your hopes up. I do have a redesigned HUD panel scheme already, I just have yet to install it. Ive also got to go back through and rework the color scheme on a few things anyway. One small note about rifle magazine animation. It will look way more badass! This one's really short. Amazing, not much to change/add. Maybe the animations are a bit choppy, but I think that this is due to the recording. Am I right? When you shoot the boxes in the end, it looks kind of odd how they break. I believe in minimalistic HUD's. For me an HUD should show me all the information I need (not more), while taking away a minimal amount of space. The screenshot that WiFiDi posted is a nice example of a stylized HUD. 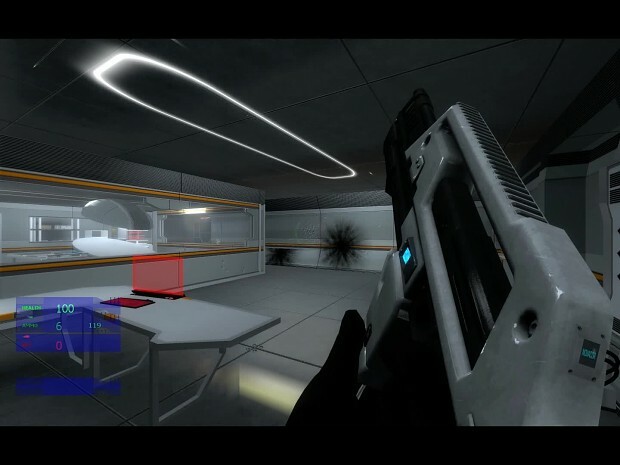 a) A vertical HUD using the left and/or right border of the screen. b) A horizontal HUD using the top and/or bottom border of the screen. c) A compact HUD using the corners of the screen. Almost like the one on the screenshot. All have points that speak for and against them. I could, if you send me a screenshot with disabled HUD, draw the three ideas on top of it, if you wish. That way I could easily show you what I mean and you could, if you like them, create a voting to make as much people as possible happy. We both know that you can't make every single one happy. Hmmm, got way longer than I expected. Yes the animations look choppy due to recording, I might make a render showing them without the choppiness but I don't think that's really necessary. I noticed the boxes do break odd but I'm sure they'll be fixed eventually. I think I may have a go at making a HUD concept. Yep, they will be fixed :p Im using wood crate gibs for now, until I get around to making cardboard gibs. And, based on community feedback, we will be redesigning the HUD. What direction we will take, I dont know. Coding isnt my strong point and we would need a coder to do new HUD panels...but there are a number of things I can do to alter the existing HUD without coding. We will see what I can come up with! What about the default HL2 cardboard boxes? You could reskin them to look like the ones you made, would probably be a lot easier. Why does the assualt rifle look like the gun from aliens? Because it is, we modified and customised the model. Kevin said we should keep it, so we did. I made this video to showcase the two new weapons we've made. The blue muzzle flash on the TPX-80 is going to be changed back to the default orange flash, as the weapon uses conventional rounds.